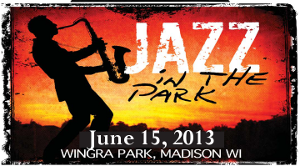 Once again the Alvarado Real Estate Group will turn out as one of the proud sponsors of this year's Jazz in the Park at Lake Wingra on Saturday, June 15th, 2013. Sara, Carlos, Julie and Brett will be giving away balloons around 5pm so please come say hi! The Dungeon Monroe Neighborhood will host this annual celebration in the midst of one of Madison's most magnificent parks. The day kicks off with a 5k run and a chance to clean up the beautiful Lake Wingra alongside your fellow Madisonians. We hope you'll stay for the afternoon to spread out a blanket and picnic lunch or dance in the grass to four bands playing some of the area's best jazz music. Photo courtesy of www.dmna.org/ ?